If your payment has failed, you will need to reconnect your bank account in Abacus. Please go to the bank account tab in your personal settings. 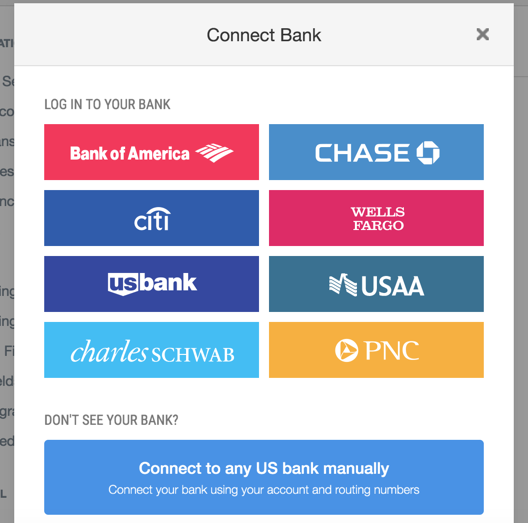 If you see your bank, you can connect automatically by signing in with your login credentials. This is the preferred method since you'll avoid the possibility of making a typo with the account/routing number. Please email support@abacus.com so that we can re-start your payment. If you're notified that a payment has failed in Abacus, please send these instructions to the employee. Have them add a new bank account per these instructions, and then they should reach out to our support team at support@abacus.com so that we can re-start the failed payment.